Why is Mold Growing in My Shower? Home / Lakewood Ranch Plumber / Why is Mold Growing in My Shower? Black mold in a shower is something plumbers see more than they want to. We see it in kitchen cabinets, bathroom cabinets and laundry rooms. Usually the mold that is in the cabinets is from a leak that has gone undetected for a period of time. The mold that grows in showers is sometimes caused by the bathroom not being properly ventilated. Make sure you have proper ventilation and use a dehumidifier. Molds are fungi. No one knows how many species of fungi exists, but the CDC estimates tens of thousands to perhaps even three hundred thousand species exists. Molds grow best in warm, damp and humid conditions. They spread and reproduce by making spores. If the source of the mold is not taken care of, such as a plumbing leak, the mold will just keep reproducing itself and become a health hazard. Some people are more sensitive to molds than others. 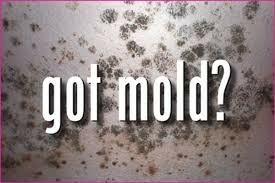 Exposure to molds can cause symptoms such as nasal stuffiness, eye irritation, wheezing or skin irritations. Others may have more severe reactions that affect their lungs. We have been in homes to repair plumbing problems and have seen black mold in the house, and the people were not aware of why they felt sick. This is more common then one would think. Sometimes, mold hides in places people don’t often look. If you think you have mold growth in your home and live in the Sarasota, Bradenton area, you are in luck. Wimpy’s Dependable Plumbing can provide you a consultation to find the source of the mold in your home. Mold is not pretty, and can be an extreme health hazard. Wimpy’s wants to help you keep your home mold free. Call today 941-322-1911 or schedule online at www.wimpysplumbing.com Wimpy’s is a forty year old family business that is available 24/7 for all of your plumbing needs.